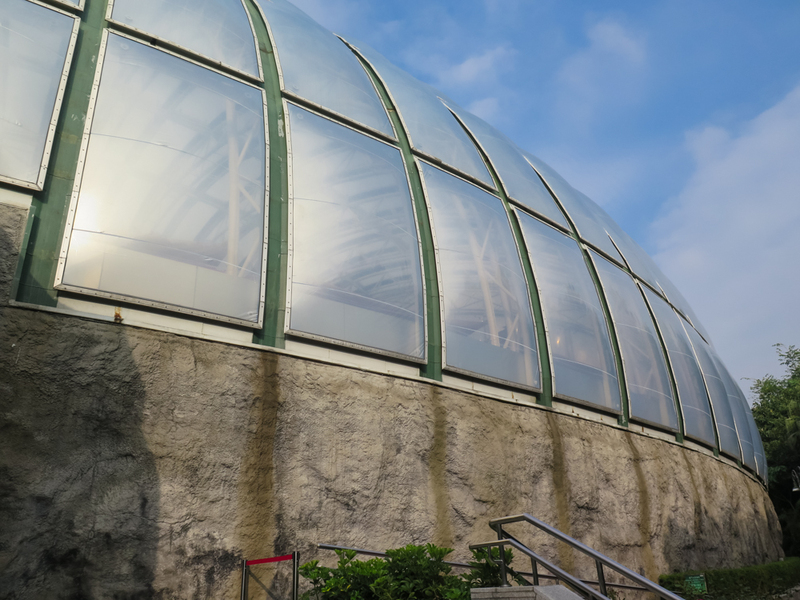 The Macau Panda Pavilion sits inside Seac Pai Van Park on the Taipa side of Coloane, nestled between the main road to Coloane and the steep Coloane hillside atop which site the white statue of A-Ma and the Tin Hau Temple. 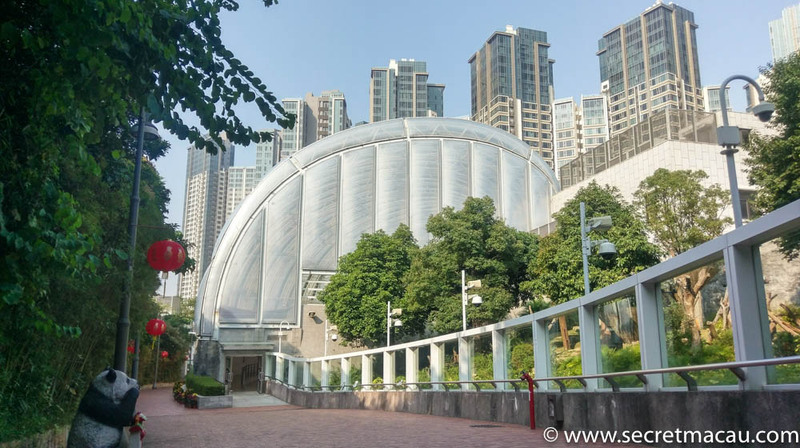 Inside the pavilion is a large futuristic looking structure which houses two 330m2 indoor viewing sections and a 600m2 outdoor area. 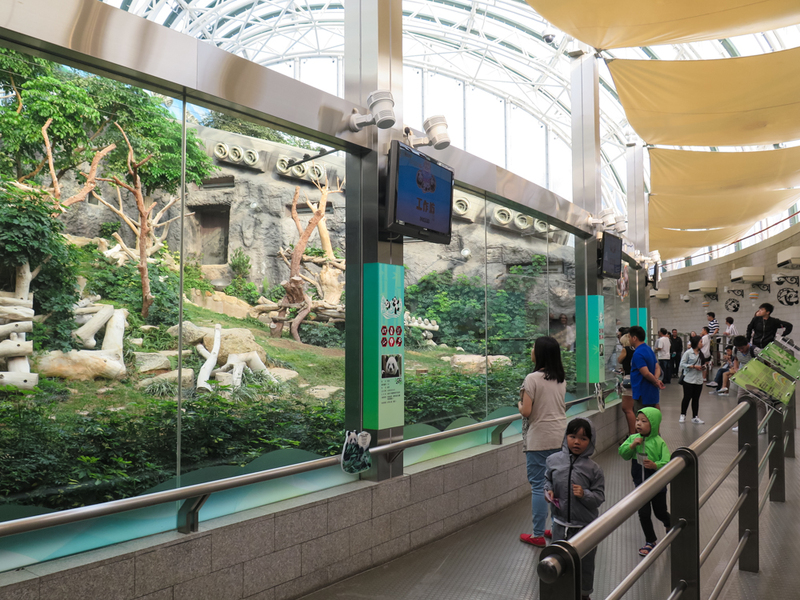 Large glass walls run the length of the interior giving great viewing access to the Pandas (helped by the sloping play areas and 2 levels of viewing platforms). 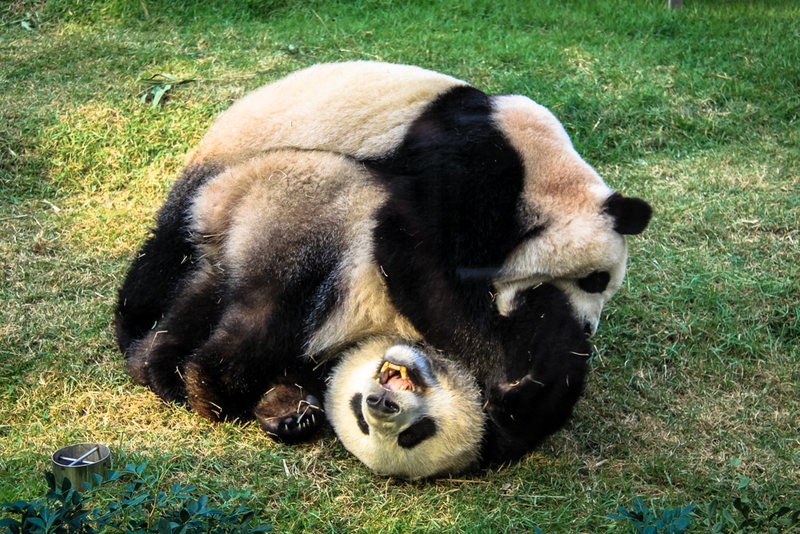 Depending on the time of day you go it can be very quiet with great access to the Pandas. We’ve been a couple of times and each time been able to see Pandas with no large crowds around. It’s not obvious that there is also an external area to the back of the pavilion – the doors at the far end are usually open – try following them out to the rear and you’ll see another large outdoor area with a long viewing glass wall. You can actually access this area by walking around the side of the pavilion, where a public path runs up the hill to join the Coloane trail. Although you can see the Pandas here if they are in the outdoor area – when I stopped here once when I was coming down the public path I got asked to move on by one of the guards (which is fair enough – but not obvious if you are just walking down from the hill). It’s a great attraction and well worth a visit. Prices are very reasonable and crowds are small. 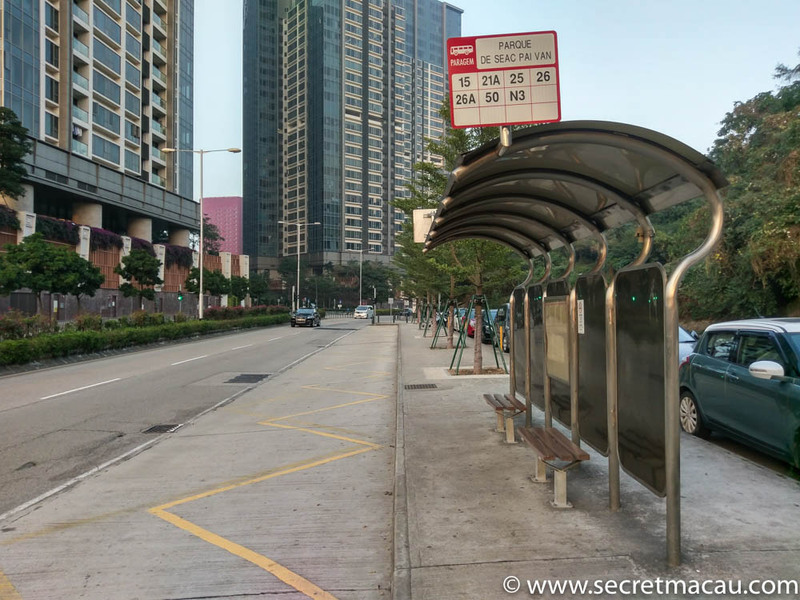 There is a gift shop, amenities and you can walk around the small park (or explore the paths leading further up the hill if you want to walk further – they will take you right up to the A-Ma Statue and Tin Hau Temple at the top). 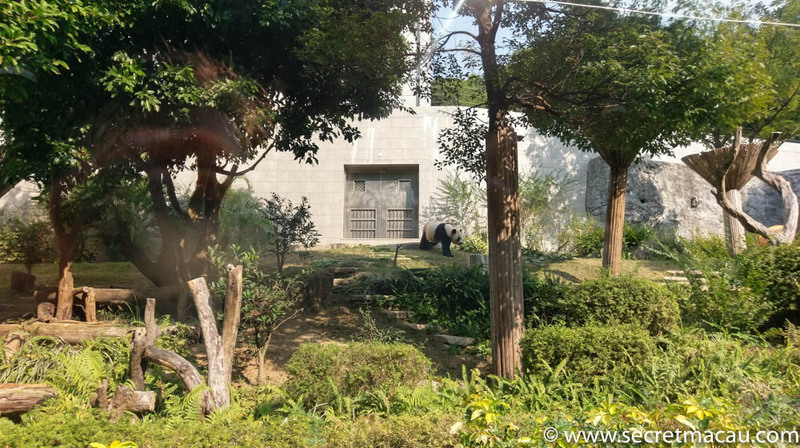 The Panda Pavilion exists in the larger Park Seac Pai Van – which contains a number of wooded walks which extend up the lower slopes of the hill behind the paved area. These walks have planted areas, lovely little streams and a large aviary. 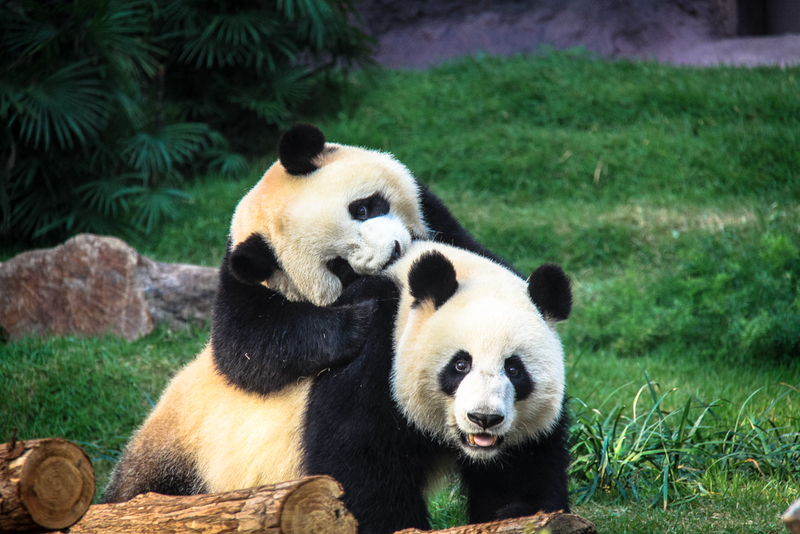 They are well worth exploring if you are in the park to see the Pandas. While it’s possible to walk to the Panda Pavilion from the Cotai Strip or Coloane Village – it’s easier to jump on one of the buses that run to Coloane and stop just outside the pavilion.